For the last 3 years, Lt. Col. Joel Kirk’s has been locked in a nightmare custody battle. He is fighting to remove his children from the hands of their physically, emotionally and psychologically abusive mother, Tina Taylor Kirk. There is overwhelming evidence documenting Tina’s many abuses toward the children and the Lt. Col. Against all that is logical, good, right and just, the family court of Judge Lori B. Jackson is in the process of giving custody to the children’s abuser, their mother, Tina Taylor Kirk. 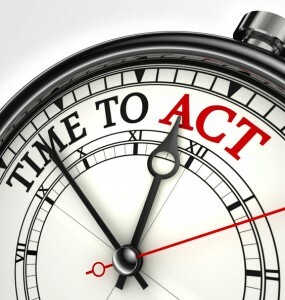 We cannot allow this to continue without taking action to stop it. Therefore, Shrink4Men in conjunction with AVoiceforMen has elected to start a petition to the West Virginia House of Delegates, which is the governmental body responsible for impeaching judges and removing them from the bench when they violate their legal obligations as members of the judiciary. Nowhere is this more necessary than in the case of Judge Lori B. Jackson. We are calling on everyone who cares about the best interests of children and justice to sign this petition. If you are familiar with this case, you are already on your way to sign. If you are not familiar with this case, you can get the details, including the harrowing recordings of Tina Taylor Kirk’s drunken rage and violent assault on her children at the links below. Reports by Family Court. 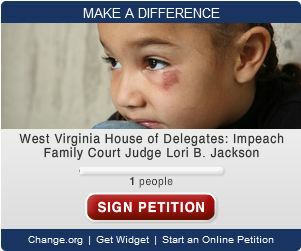 – If a family court has reasonable cause to suspect any minor child involved in family court proceedings has been abused or neglected, that family court shall immediately report the suspected abuse or neglect to the state child protective services agency, pursuant to W. Va. Code §§ 49-6A-2, and the circuit court. Not only has Judge Jackson clearly violated state guidelines, she has done so knowingly at the expense of two minor children, effectively delivering them into the custody of the person abusing them. Please share the link to this petition on your Facebook pages and other social media. You do not need to reside within the US to sign this petition. These children are currently in the care of an abuser, the authorities have failed them and there is literally no one but us to try to help them out of this situation. I work for CPS and signed the petition. This goes against my grain professionally and up my a** personally. I have been in the position with the family courts many times with information favorable to the child and some judges simply don’t want to hear it. Is it narcissism? Are their issues clouding their judgment? I don’t know nor do I care. Fortunately, I have my court as well and have brought petitions to help parents who get screwed by family court. I am in a situation like that now. I do not care what the negligent parent thinks when it comes to this, even when I list their litany of transgressions, some simply don’t get it. And unfortunately, sometimes the family court doesn’t get it either. I will follow this closely and KUDOS for AVM and Dr. T for bringing this to light. My young son is attached to me from birth and not the mother from her own faults, I never alienated him from her, I never talked about her ever. He is now 3years old, she now has full custody and he only gets to see me 1 hour per week in a detention centre, under guard, he is very unhappy and wants to come home with me. I documented his abuse by the mother, her legal aid and the courts, I am alone in this fight against his abuse. I signed the petition. Went though the exact same thing in Texas Family Court system. Boils down to this – THE CHILD(REN) ARE BEING “PROTECTED” FROM THE WRONG PARENT! It is maddening to watch innocent children continue to be used as pawns and treated like property. When children are not “protected” from the disordered adult the long-term emotional and psychological affects are real and scary. I have 2 adult step-children who were FORCED (by family court system) to remain in the custody of their Axis II Cluster B nightmare Mother and they are are not doing well at all as adults. Drug (intravenous)and alcohol abuse, depression, identity problems, frequent emotional and psychological breakdowns, promiscuity resulting in unplanned pregnancy, bipolar disorder, quitting college, living in pretend worlds, PTSD, anxiety, dishonesty – I could go on and on. My heart breaks to see them struggle as adults and for what????? So the disordered parent could “WIN”? No winners – only pain, guilt, regret, confusion, chaos, crazy and the one burning question that has no good answer – WHY was this allowed to happen? All I can do is listen to them, hold them, and pray they find the peace they never knew in childhood. Just so sad to see them mature into what can only be described as deeply troubled and disturbed adults. NEVER STOP FIGHTING FOR CUSTODY OF YOUR CHILDREN IF THE CUSTODIAL PARENT IS AN ABUSIVE DISORDERED ADULT. My biggest fear is they themselves could dissolve into the Axis II Cluster B MAD HOUSE. I see many of the characteristics in them. Maybe I’m stupid and naive but I’m still fighting for their very souls. I don’t think they are full-blown but I think they have the potential to evolve into full blown disordered adults.